Enjoy a casual, fun and informative office party in our state of the art brewery. Savour award-winning beers and immerse yourself in an age-old experience, with opportunities to take a tour and chat to the brewers. 2 Hour Exclusive Private Tour Ideal for larger groups of 20 or more, available out-of-hours on selected evenings, usually only Tuesday or Wednesday. £200 for up to 20 people includes brewery tour and 5 x 1/3 pint beer tasters, other drinks are available at the bar at an additional cost (for additional guests, please add £10 per person). Food can be provided at an additional cost, buffet menus are available or Street Food supplied, subject to availability. Open Evening (“Meet Your Maker”) Ideal for a smaller group, join the fun at our Open Evenings, with local street food (optional), informal tours at 7:30pm and 8:30pm. £10 per person includes 9x 1/3 pint beer tasters. (Wine, Squerryes Sparkling and soft drinks also available). 1 Hour Talk & Tasting (available during normal opening hours by prior arrangement) This is not an exclusive event and access into the brewery may be limited. 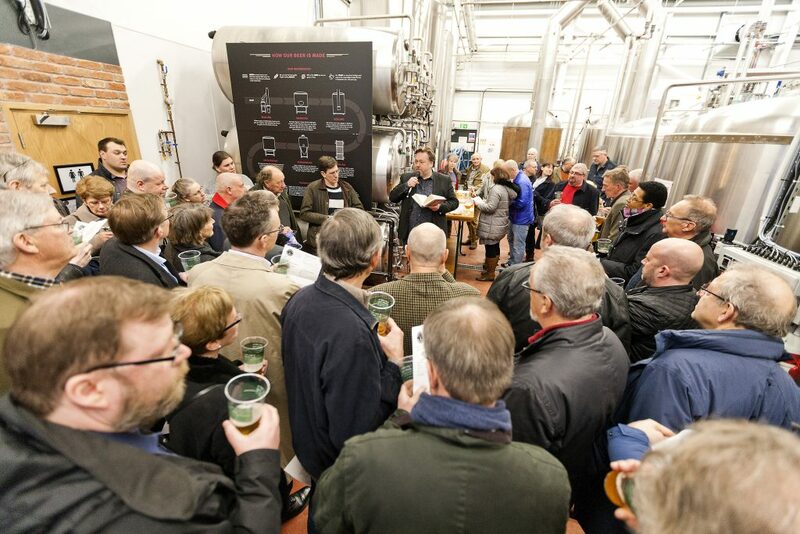 It will include a talk about the Brewery and brewing processes and tasting samples. £100 for up to 10 people includes 5 x 1/3 pint beer tasters (for additional guests, please add £10 per person).